Perfect combination of maroon and black, it gives an outstanding look. 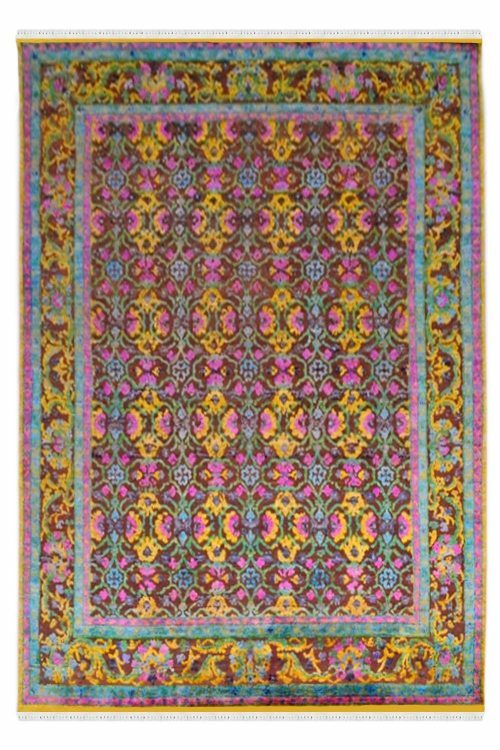 This is 100% hand washable rug so you can clean it at your home. This is highly durable. 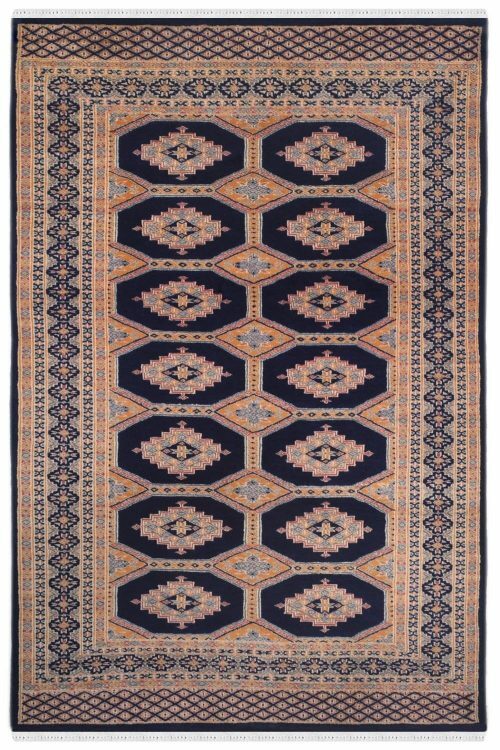 Afghan carpet is ideal for a living room and bedroom as well. 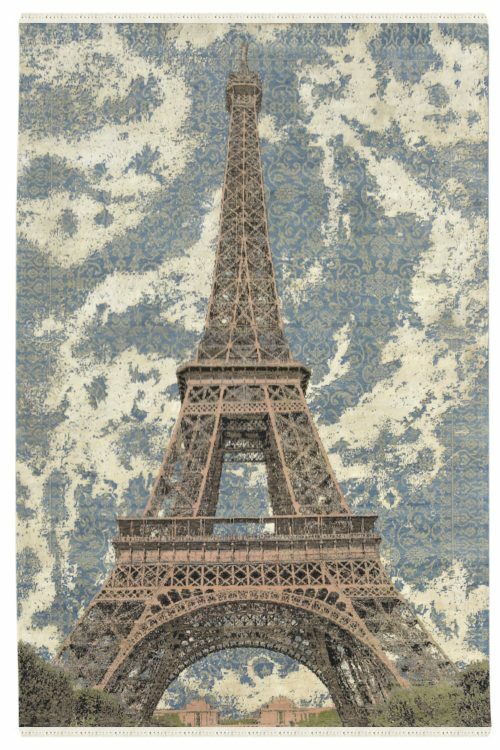 Inspired by Eiffel Tower, this wool carpet is woven in hand knotted technique by our talented and skilled weavers in India. The warp is in pure cotton and weft is in pure New Zealand wool. 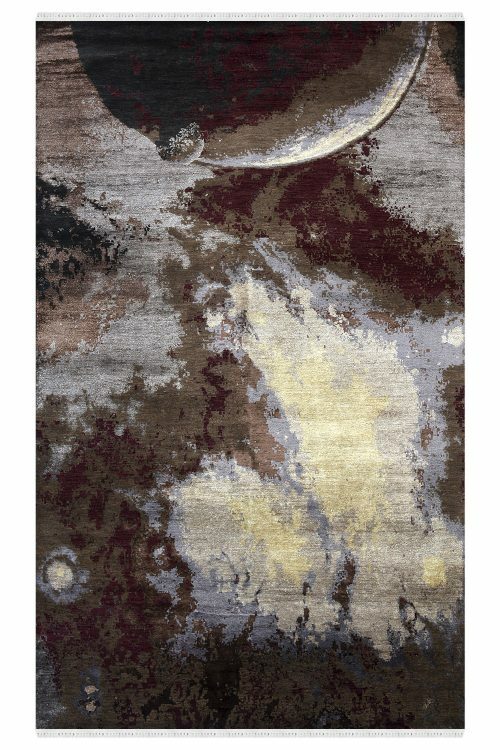 If you want to crate a focal point in your home then place this carpet at that place. 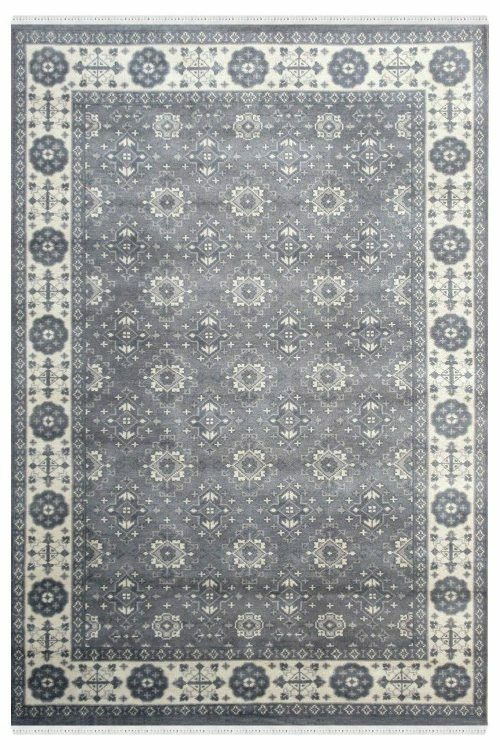 Accentuate the interiors of your space by placing this ever so gorgeous handmade Monochrome pattern rug in a faded and jaded color combination. Perfect fit for a space with subtle interiors. 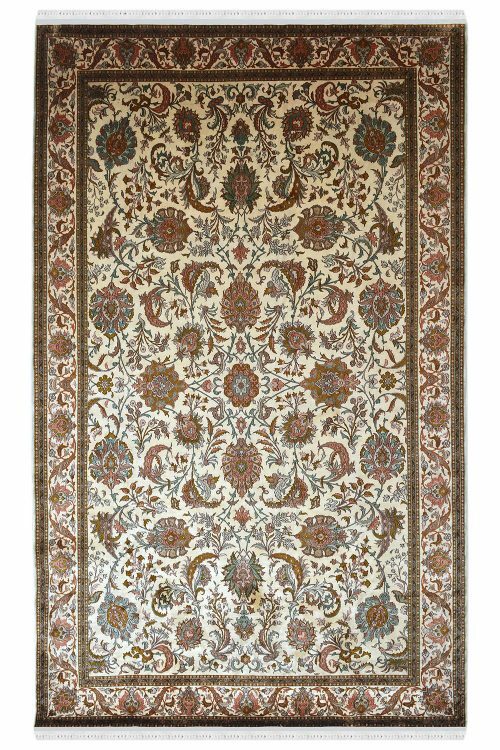 This carpet can be custom made in any size and is handcrafted by our weavers and involves detailed craftsmanship. 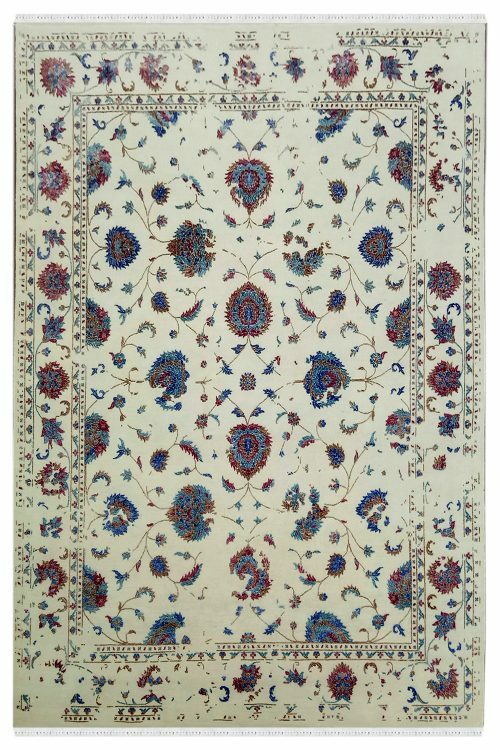 Stunning beauty of this carpet, this is woven in pure wool and cotton material. 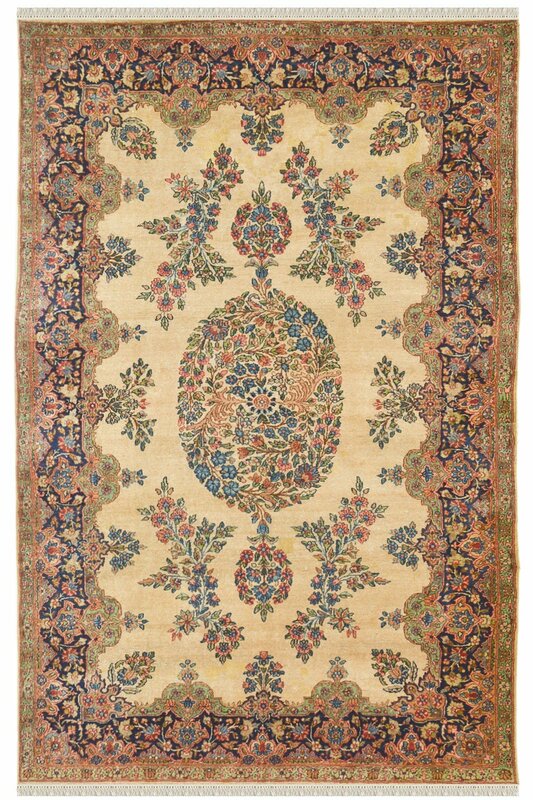 This beautiful carpet is 100% hand washable and highly durable due to pure material and handknotted technique. This is ideal for the living room and bedroom. 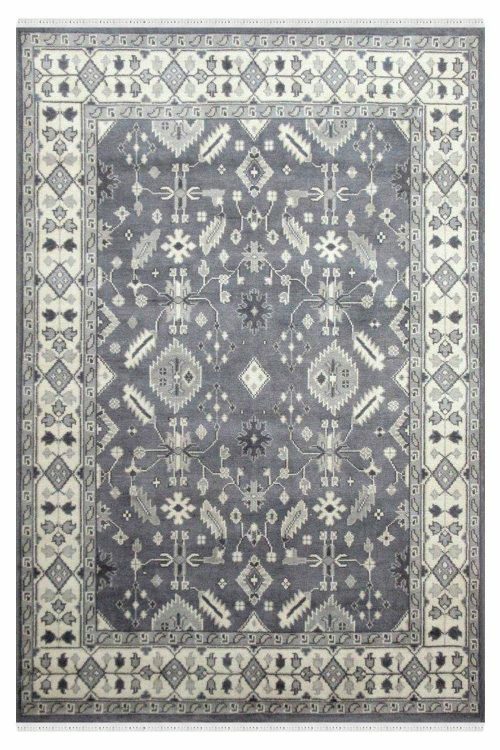 Beautify your space from our new collection of One of a Kind, handmade carpet in Monochrome pattern and unique color combination. 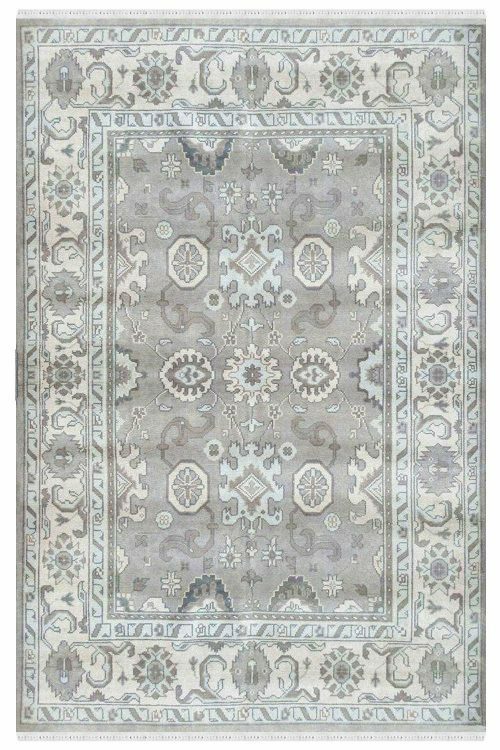 Enhance your space with this stunning area carpet. 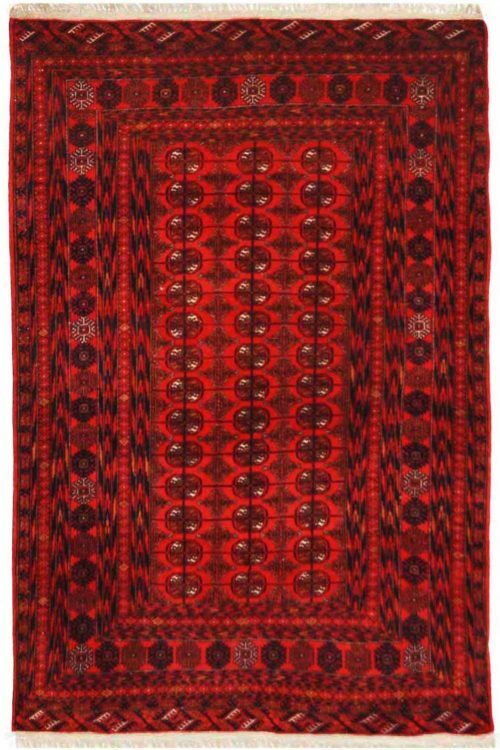 Decorate your home with this Bokhara pattern handmade wool carpet which is woven in handknotted technique. olors are very neutral and include Soothing Royal Blue, Ivory and Tinges of Black. 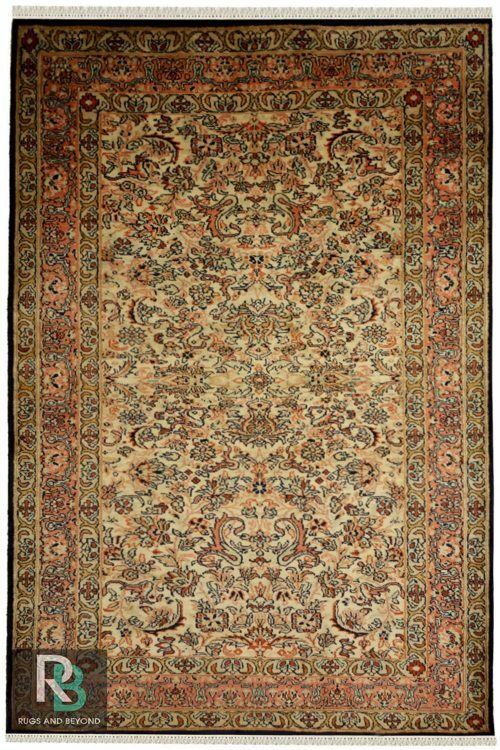 Give a new look to your living space by placing this “One of a kind” Handmade pure silk carpet. 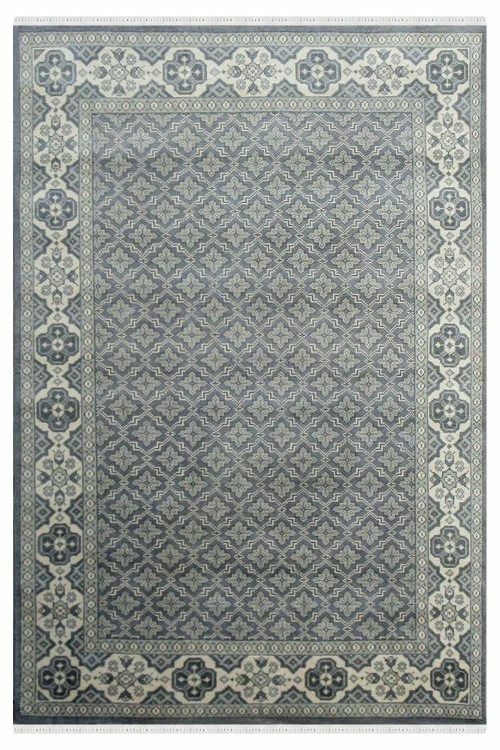 This is handwoven in pure silk material which is exported from china. This is highly durable. 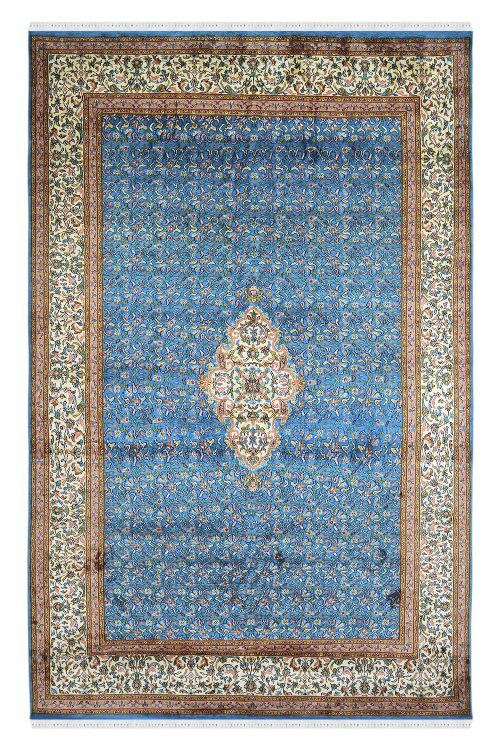 This Beautiful carpet is in blue color and contains kashan design pattern with beautiful and very tiny pattern in multi colors. 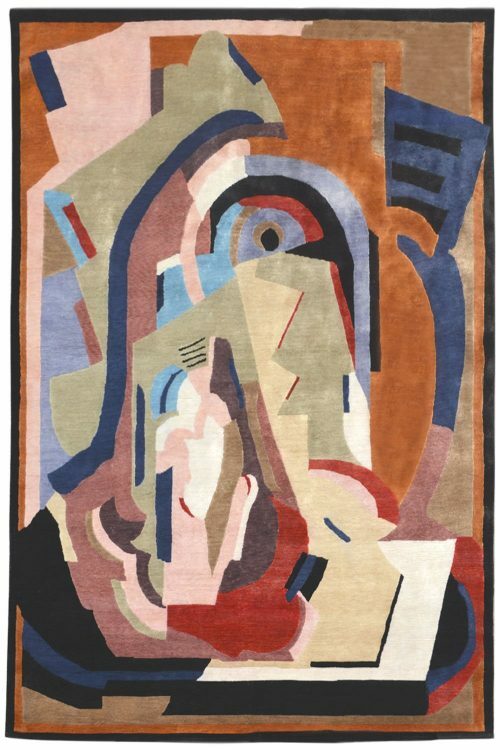 This is a 100% handmade carpet. This is 100% hand washable and highly durable carpet. 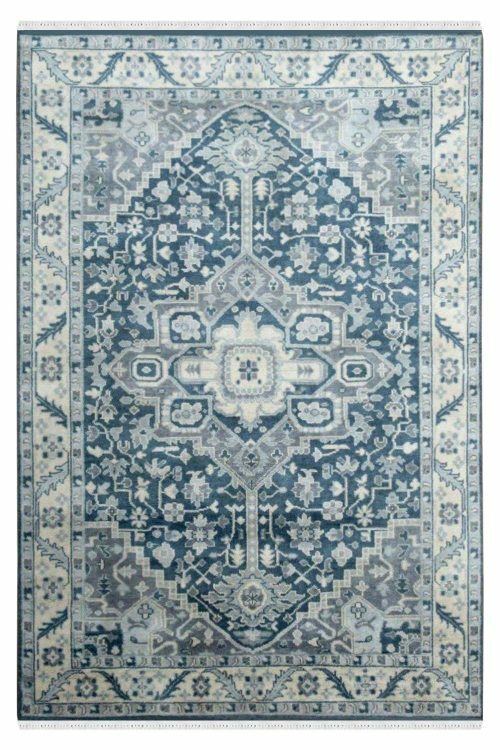 It contains totally traditional design pattern and suitable for traditional interiors. Beautifully hand-crafted in pure sari silk and cotton with an extremely intricate design pattern. 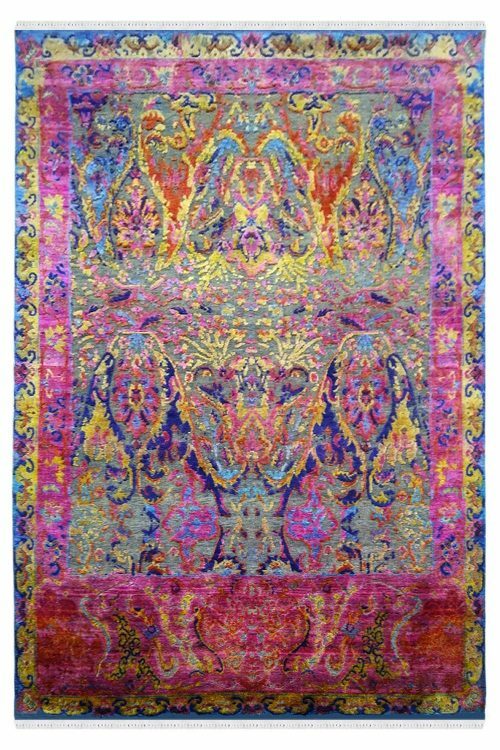 The design is extremely hard to make and countless threads of various colors have been used to produce this masterpiece.